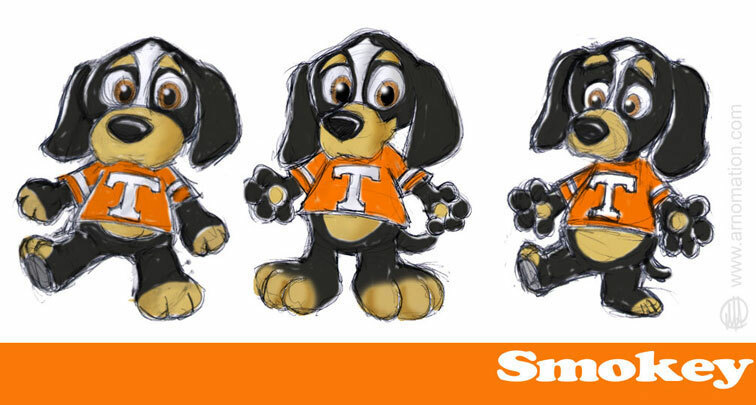 Here are a few exploratory sketches done of “Smokey” dog from the University of Tennessee imagining what he might look like as a baby mascot plush toy design. This entry was posted in Sketchbook and tagged mascot, plush toy design, Smokey dog, University of Tennessee. Bookmark the permalink.